London: 29 June 2015 - The directors of ECR Minerals plc (the “Directors”) are pleased to announce the Company’s unaudited half-yearly results for the six months to 31 March 2015 along with the following update on activities. 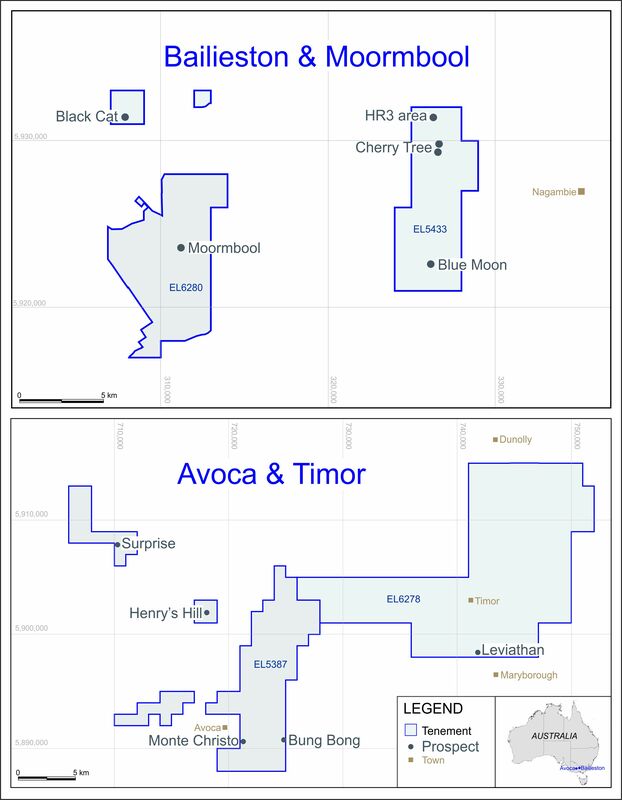 The six months to 31 March 2015 were an active period for ECR, with substantial exploration work taking place at the Itogon gold project in the Philippines and the SLM gold project in Argentina. The primary achievement at Itogon was the completion of an 808m diamond drilling programme, with positive results which were announced on 18 June 2015. Trenching commenced in May 2015, and has already yielded an encouraging mineralised interval (apparent width) of 42m at 2.54 g/t gold, which was also announced on 18 June 2015. Trenching is ongoing and further assay results are pending. The Company’s intention is to use the drilling and trenching results, after the complete trenching results are available, to proceed with an initial, inferred category resource estimate for the supergene enriched oxide gold mineralisation which occurs from surface in the main prospect area at Itogon. An aerial topographical survey of the main prospect area was completed in May 2015 for this purpose. Deeper level feeder structures below the supergene zone are an additional exploration target. The final quarter of 2014 saw two phases of channel and grab sampling completed at Itogon, one underground in artisanal workings and one at surface, as well as sampling of muck (ore) from active artisanal workings. The results of this work were announced on 23 December 2014. In November 2014, ECR acquired a holding of 358,000 common shares of Tiger International Resources, Inc. (“Tiger”). This holding is equal to 3.67% of Tiger’s issued share capital. Tiger is the parent company of Cordillera Tiger Gold Resources, Inc. (“Cordillera Tiger”), a Philippine corporation which holds the exploration permit comprising the Itogon project. ECR has the right to earn a 50% interest in the Itogon project pursuant to an earn-in and joint venture agreement (the “Agreement”) entered into in April 2013 between the Company, Tiger and Cordillera Tiger, and ECR is currently the operator of the project, through Cordillera Tiger. Under the terms of the Agreement, the resource estimate for Itogon will be competed to Canadian NI43-101 standards, and will form part of an NI43-101 technical report describing other technical aspects of the project in addition to the resource. This report will be published by both ECR and Tiger. The SLM project is 100% held by ECR’s wholly owned subsidiary Ochre Mining SA (“Ochre”), and comprises three key prospects: El Abra, JV and Maestro Agüero. Bulk sampling was carried out at Maestro Agüero in March 2015, and results are expected in the next several weeks. Given the presence of nuggety gold and coarse flecks of secondary gold, bulk sampling is necessary to ensure statistically representative results. Delays in the availability of the bulk sampling results have related to the shipping of sub-samples internationally, as the necessary analysis could not be completed locally. Instead, an independent laboratory in Europe was selected. A non-binding memorandum of understanding (the “MoU”) has been signed between Ochre and Esperanza Resources SA (“Esperanza”), as announced on 14 May 2015. The MoU provides for discussions aimed at forming a joint venture or other commercial arrangement for the processing of ore from Ochre’s licence areas by Esperanza. Esperanza has constructed a mineral processing plant in the vicinity of Ochre’s JV and Maestro Agüero prospects. The plant is configured to recover gold via gravity and flotation processes and is not located immediately adjacent to any deposit, being situated instead with good road access for the trucking of feed material from various sources. Discussions between Ochre and Esperanza remain open, however it is desirable for the bulk sampling results from Maestro Agüero to have been received and interpreted before any agreement is entered into with Esperanza. Moreover, Ochre will only enter into an agreement which recognises the value of its prospects and past exploration work, and investigation into other potential processing options is continuing. Unfortunately, all of the above has occurred against a backdrop of inclement financial market conditions for most junior mineral companies. This has been reflected in ECR’s share price. In order to ensure that key exploration programmes could be completed without further fundraising, a complete deferral of all cash remuneration to Directors was instituted in March 2015, and remains in effect. This followed on from a partial deferral of Directors’ remuneration which took effect in December 2014. Various staff members also agreed to the partial deferral of fees and salaries with effect from February 2015. Despite these sacrifices, we look to the future with optimism and we look forward to reporting further results from recent activities at the Company’s projects. Key exploration results expected from current projects in the coming weeks and months comprise the following: further results of trenching at the Itogon project; initial inferred resource estimate and NI43-101 technical report for Itogon; and results of bulk sampling at the Maestro Agüero prospect in Argentina. All of these are potentially significant. For the six months ended 31 March 2015 the financial statements of the Company as consolidated with its subsidiaries (the “Group”) record a total comprehensive expense of £896,320, the largest component of which is other administrative expenses of £629,183, which relate primarily to the operation of the Company’s projects. The Group reported a total comprehensive expense of £986,553 for the six months ended 31 March 2014. During the period, ECR disposed of its entire holding of common shares in THEMAC Resources Group Ltd (“THEMAC”) for proceeds of £54,286. This disposal was motivated by the Directors’ view of the prospects of THEMAC and its Copper Flat project given the prevailing copper price and the generally adverse financial environment for companies in the mineral sector. The Group’s net assets were £4,515,381 at 31 March 2015 compared with £5,282,905 at 31 March 2014, reflecting the reduction in available-for-sale financial assets and other financial assets following the disposal of the Company’s interest in THEMAC, as well as a lower figure for cash and cash equivalents of £302,754, versus £599,431 at 31 March 2014. Exploration assets at 31 March 2015 were £1,766,779, versus £1,032,276 at 31 March 2014, reflecting the investments made in the Company’s projects. With the release of Mercator Gold Australia Pty Ltd (“MGA”) from external administration in December 2014, MGA has become, in accounting terms, a subsidiary of the Company once again, having been excluded from the Group since MGA became subject to external administration in October 2008. A discussion of the accounting implications of this development is provided in note 2 below.